The special begins in the Tanner family garage, where ALF is on the phone with his agent regarding his new prequel cartoon series. ALF and his buddy Brian decide to imagine a mystery story specifically featuring characters from the shows in the NBC Saturday Morning lineup, which is natural and makes sense. 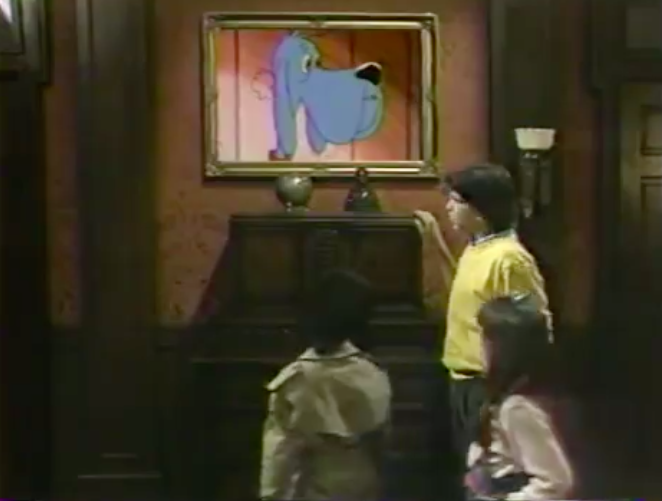 The special then turns into a Film Noir homage, which kids are totally into, with ALF providing the narration and Brian starring as the detective. 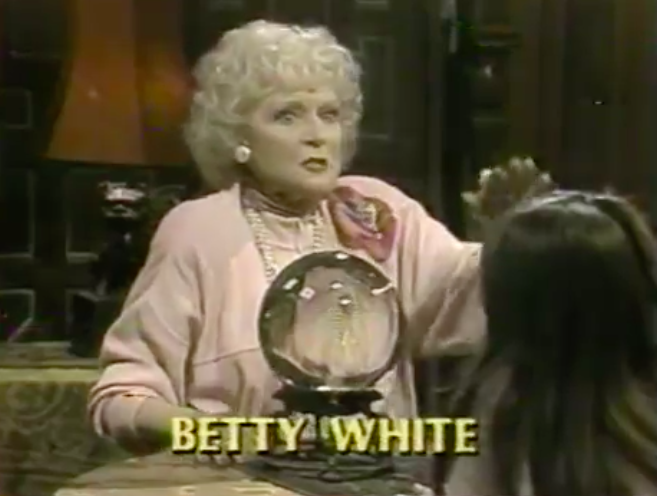 Brian’s invited to the Countess (Jackee’s) mansion, where random stars from NBC Prime Time programs like Our House, Rags To Riches, The Golden Girls, and others are gathered and given the challenge to find the treasure hidden within the house. The kid faction of the party teams up to solve the mystery, awkardly led from clue to clue by clips and voiceovers from the Saturday Morning shows. 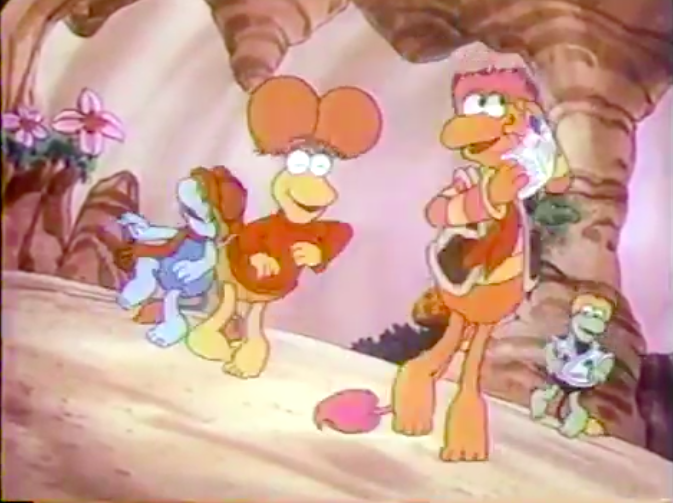 Alvin and the Chipmunks, the Smurfs, the Gummie Bears, Archie, and that awful animated version of Fraggle Rock help the gang along. The adults at the party, predictably, are all bad guys. They’re also dumb. They follow the children around as the kids solve the mysteries, waiting for their chance to steal the treasure once it’s found. Shannen Doherty masquerades as “kid-cool” to try and trick them! 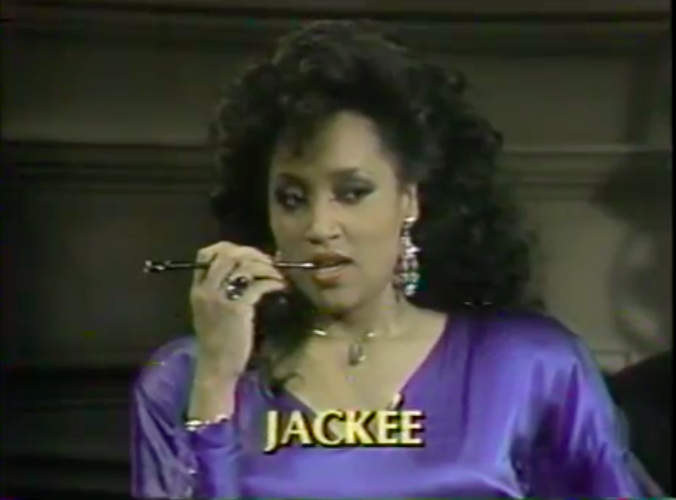 The joke’s on all of them, kid and adult alike, when Jackee tries to take it all for herself at the end. I won’t tell you how they get out of that particular pickle, but ALF and Shannen Doherty DO go on a date after all is said and done. This special is so bad and hamfisted, but in a really good way. Even Shannen Doherty’s redeemed in it. I can’t figure out how the effort spent on this was justified, but I’m glad it was. Here’s the whole thing. Also included are some VERY ’80s Cherry 7-Up, Milky Way, Snickers, Wendy’s, Diet Coke, KFC, and Crave Cat Food commercials. Also I forgot about Chicken Littles – that 39 cent price point is nice. This early 1980s “Prism” campaign for Atari shows the breadth of the company’s offerings past just video games, but still mostly focuses on the video games. They know which side of the bread gets the butter. Still, a good looking campaign with some great motion graphics and some EPCOT-level synth. That’s Jack Palance doing the voiceover. You hear it now, don’t you? This one interestingly focuses on the whole portfolio of Atari’s offerings – minimizing the games as much as they probably can. Makes Atari look like a much different company than it was – the company they probably wanted to be. This charming 1983 UK Public Information Film uses a mixture of animation and live action to teach kids about electrical safety. Voiced by Judi Dench and Michael Wiliams, it’s kind of like a G-rated “Shake Hands With Danger”. 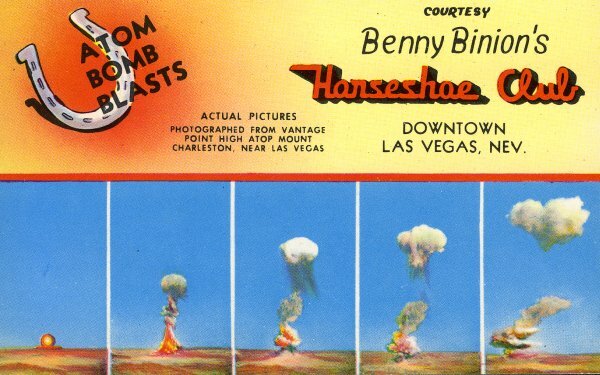 This 1950s-era postcard from Benny Binion’s Horseshoe Club boasts the spectacular view of atomic weapons testing that can be had nearby. Amazing. 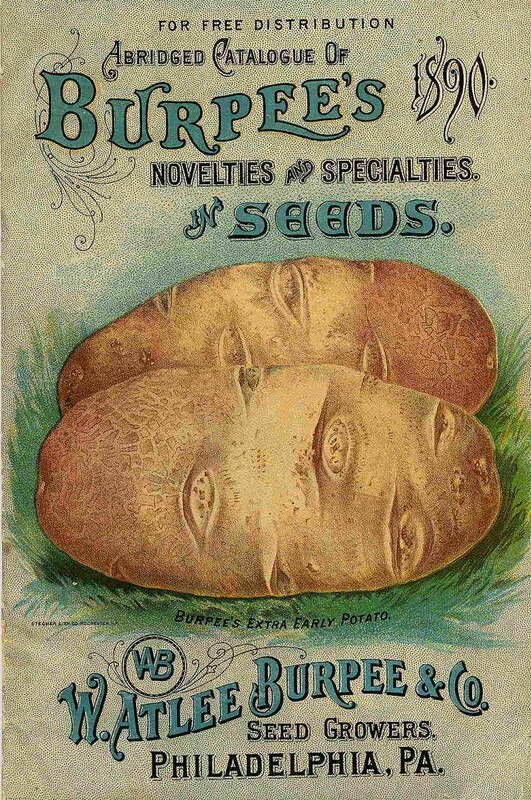 Potatoes have never been so beautiful. A cover from an 18th century seed catalog. 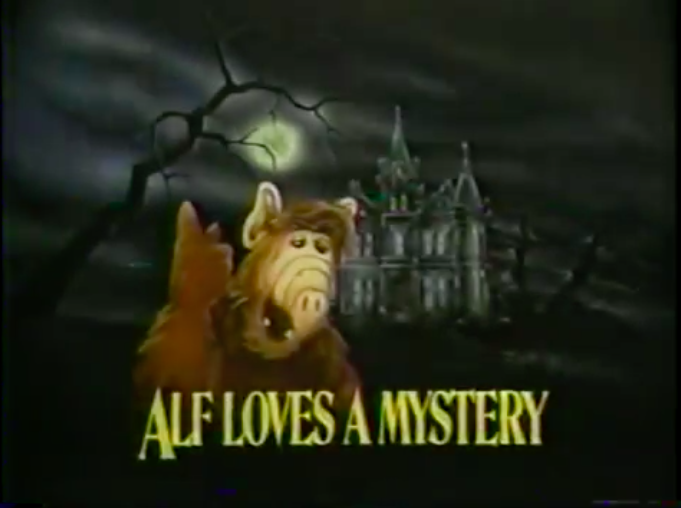 I wonder if the title “Alf loves a Mystery” is a deliberate allusion to one of the half-dozen titles NBC tried out for the Kate Mulgrew “Mrs. Columbo” spin-off back at the opposite end of the ’80s, or if it’s just a coincidence.